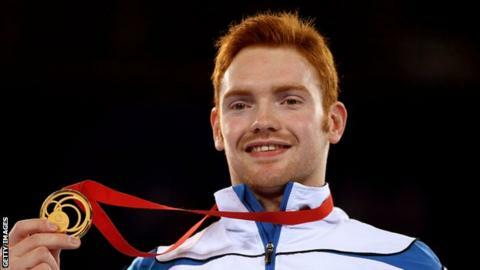 London 2012 Olympic bronze medallist Daniel Purvis has announced his retirement from gymnastics. The 28-year-old was a key figure in the men's team that won a historic medal in London - Great Britain's first Olympic medal in the sport for 100 years. The Southport-based gymnast also won Commonwealth gold for Scotland, along with team silver for Britain at the 2015 World Championships in Glasgow. He won 16 major international medals during a career spanning 10 years. That included a European Championship team gold achieved in the build-up to the 2012 Olympics. Team GB - also featuring Louis Smith, Sam Oldham, Kristian Thomas and Max Whitlock - initially claimed silver at their home Games before an appeal by Japan. "Retirement was on my mind after 2016," Purvis told Scottish Gymnastics. "I thought the next one I would do would be the Commonwealth Games to represent Scotland and if I could have a good Commonwealths, I could go out proudly after that. "It's been hard to comprehend and get around to it. You still feel like a gymnast so it will take a little bit of adjusting." Find out how to get into gymnastics with our special guide. What kind of gymnast are you? Take our quiz, learn a thing or two, then get yourself along to a gymnastics class and be amazed!